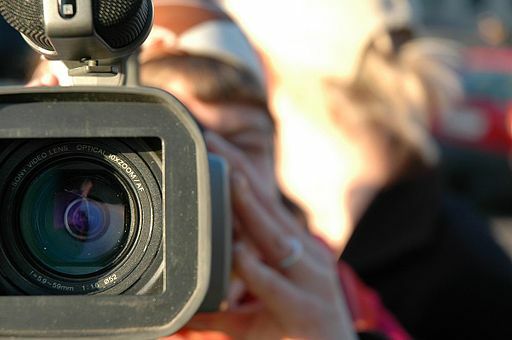 Videos and podcasts might be a growing part of sharing information, but it’s a rare researcher or University staff member who doesn’t have to give at least the odd presentation – and many lecturers are using presentation tools on a daily basis. In Thing 15, we’ll explore some new tools for creating presentations, and you’ll take another look at sites like Slideshare that let you share your research and presentations online. Most of us are, by necessity, familiar with PowerPoint and/or its Apple counterpart Keynote. There are open source alternatives, although you may find they’re not always compatible in the ways you need (there’s a list at Alternative To). 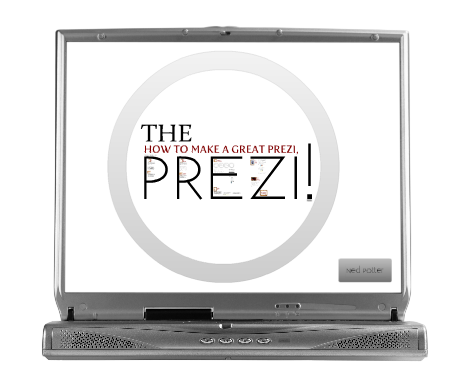 Prezi is growing in popularity and offers an interesting alternative to the usual static slides you normally see. Prezi allows you to zoom, pan and layer levels of information, although these tools need to be used well in order to be effective. Instead of presenting a linear story, you can move around a storyboard, highlighting connections. Prezi can take some getting used to, but it’s worth jumping in and giving it a try. Take some time to experiment with it and think about what it could offer to help you share your research, present a subject to students or colleagues, or create an informational or induction presentation. You can even use Prezi as a collaboration tool – it’s great for mind mapping with colleagues. These tools give you the opportunity to store all your research presentations or teaching material in one place. Maybe you gave a presentation at a conference, and you’d like other people to have access to it (or you’d like other people to see that you’ve been providing expert comment on the topic). Perhaps you use presentations as teaching tools, and you want your students to have access to lectures after the class. These sites bring your presentations to a much wider audience than you can ever hope to reach with handouts or even an institutional website. They also let you embed your presentations in blogs and websites. Have a look at each site (and feel free to look at others), and pick at least one to try. If you have a presentation floating around, upload it (extra credit: tweet a link to your presentation). Many of these sites let you upload PDFs as well as PowerPoints and other formats, so your ‘presentation’ could even be a simple handout. If you don’t have any presentations to upload, think about when or how you might or might not use these sites. Since we’re on the subject, let’s talk about what makes a good presentation in general. There are blog posts, courses and books galore on this, but we think it deserves addressing. Presentations should be engaging and interesting, and the standard bullet point format, while effective in the right context, can be the opposite of engaging. Cut text. Less is better. Don’t read our your slides – they’re there to support what you are saying, not replace it. Keep to one point per slide. Now that you’ve experimented with Prezi and various presentation-sharing tools, what do you think they could add to your work? Can you see yourself using them? Do you think they can help you find new audiences for your work? Tag your post Thing 15. You will NOT need to make or upload a podcast or video to complete this thing, but this post should give you some idea of the tools available to do so; please take some time to explore these tools and think about how they might be useful to you. If you’re feeling brave, we do encourage you to try them out – even if it’s only for a brief screen capture or a video to introduce yourself. If you’d like to learn more about podcasting, there are still places available (at time of publishing) for the IT Learning Programme’s Podcasting at Oxford FAQs course on 26 November. You can download a free version of Jing. You will get a ‘Sun Launcher’ button on your screen. Hover over the sun and choose ‘Capture’. Click and drag to select a portion of your screen, and then release the mouse when you are happy with the image you have selected. You will NOT need to make or upload a podcast or video to complete this thing, but this post should give you some idea of the tools available to do so; please take some time to explore these tools and think about how they might be useful to you. If you’re feeling brave, we do encourage you to try them out – even if it’s only for a brief screen capture or a video to introduce yourself. If you’d like to learn more about podcasting, there are still places available (at time of publishing) for the IT Learning Programme’s Podcasting at Oxford FAQs course on 16 November. 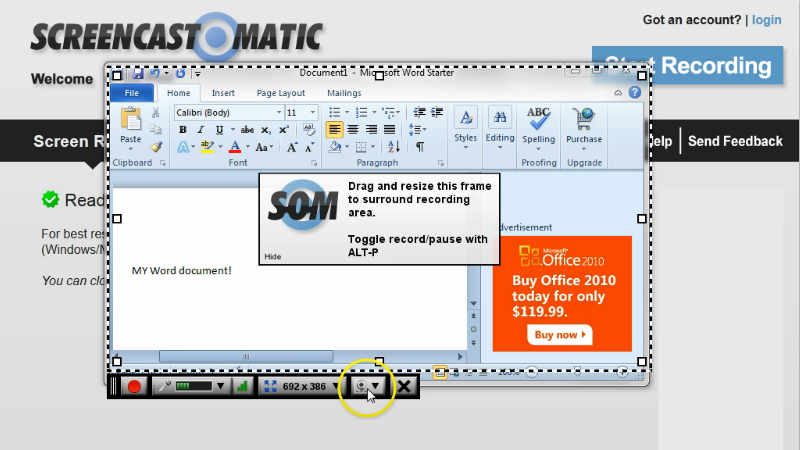 To begin, press ‘Start recording’ on the top right. A frame will appear (make sure Java is enabled); you can drag and resize this frame to suit your needs, and you’ll also see some options for size, etc. Once you’re ready, simply press the red button and go. If you don’t want to record anything, make sure you mute your computer’s microphone (otherwise you’ll get a lot of white noise). You can download a free version of Jing. You will get a ‘Sun Launcher’ button on your screen (top centre for Windows, upper right corner for Mac). If you just want to make an audio podcast, you just need a relatively modern computer and a microphone. Many computers have built-in mics that will do the job, although you may find that investing in an external mic is worth it for the improved sound (use a USB mic designed for the job if you want to avoid extra purchases like an external sound card). You can use any standard tool on your computer to record your sound; Windows Sound Recorder on Windows is free, and many Macs come with Garageband. You can also download a free tool like Audacity, which will also give you tools to clean your recording up a bit (this can be useful if you’ve made any mistakes or want to piece together parts from different attempts). The JISC-funded Steeple project has a great tutorial on Audacity.